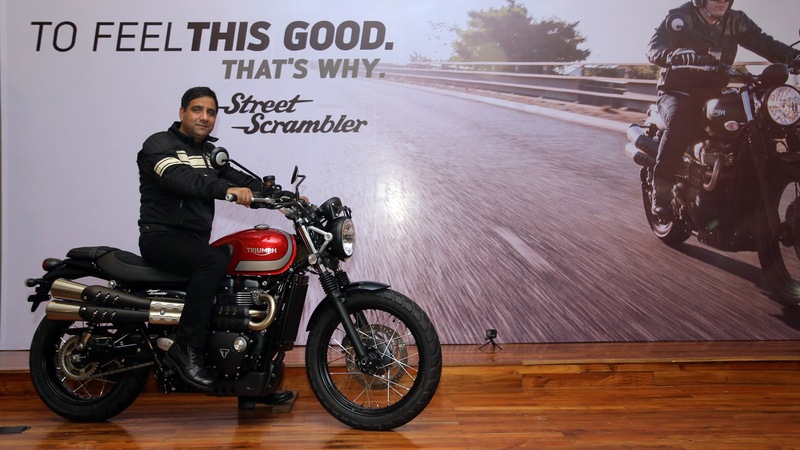 2017 Triumph Street Scrambler launched at Rs 8.10 lakhs | IAMABIKER - Everything Motorcycle! Today marked the launch of the all-new 2017 Triumph Street Scrambler here in India. 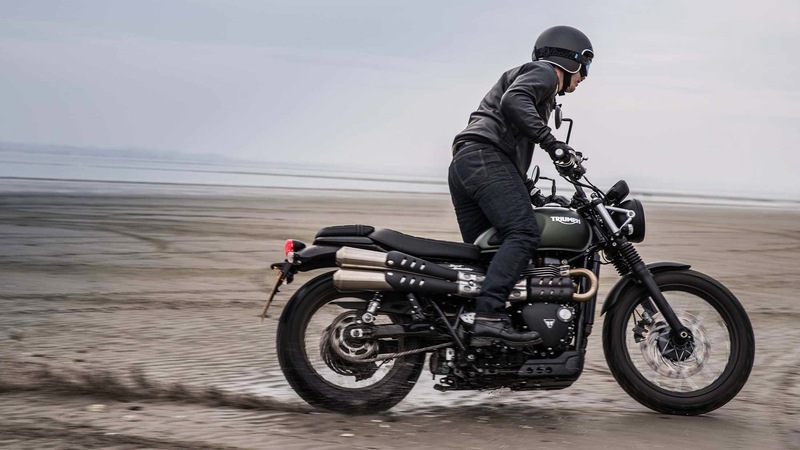 The Scrambler builds on the brands position as the fun and accessible contemporary Bonneville and brings a significant update in capability and style to the iconic Triumph Scrambler. The all-new Street Scrambler has been developed to deliver more purposeful and beautiful Scrambler style with unique features and detailing. Sharing the same contemporary custom styling principles as the Street Twin, the new Street Scrambler has the iconic Bonneville silhouette combined with clean lines, minimal bodywork and modern finishes such as the elegant fuel tank with locking cap, black sculpted engine covers with the Triumph makers mark and engine badge, single throttle body with aluminium finisher and distinctive fined head and header clamps. Enhanced rideability, safety and control, from a single throttle body. A unique feature on the Street Scrambler that reinforces its capability is switchable ABS, accessed via the instrument menu. This is the latest generation anti-lock braking system – introducing a new level of safety and control yet remaining unobtrusive and with minimal visual impact. Switchable traction control, accessed via the instrument menu, helps to maximise rider safety and control. Torque assist clutch – Designed to reduce clutch lever effort for the rider, bringing a lighter touch and feel to the clutch and making it easier to ride, and for longer. Liquid cooling – For cleaner and more fuel-efficient riding (up to 36% better fuel economy). LED rear light – Incorporated into the classic design, it creates a distinctive light pattern with enhanced power efficiency. Engine immobiliser – That immobiliser with a transponder incorporated into new key. USB charging socket – Mounted underneath the seat for convenient charging of essential devices.